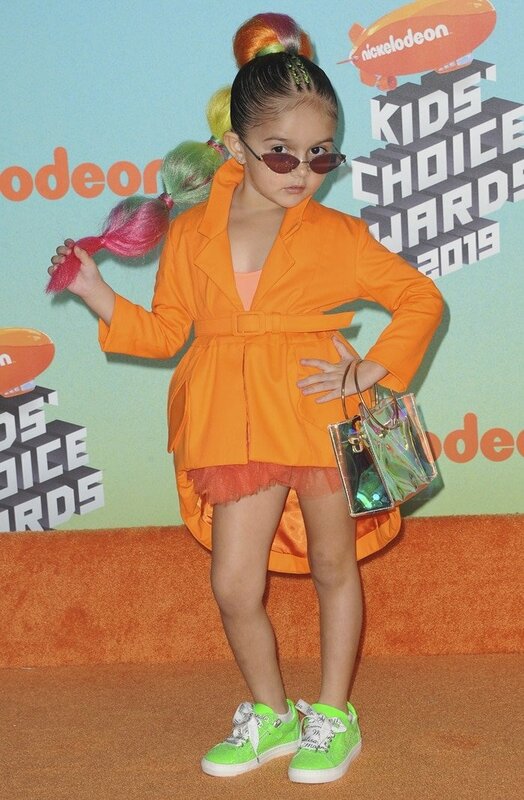 She’s only five-years-old, but fashion diva Taylen Biggs made the red carpet her own at the 2019 Nickelodeon Kids’ Choice Awards held at the Galen Center on Saturday in Los Angeles. 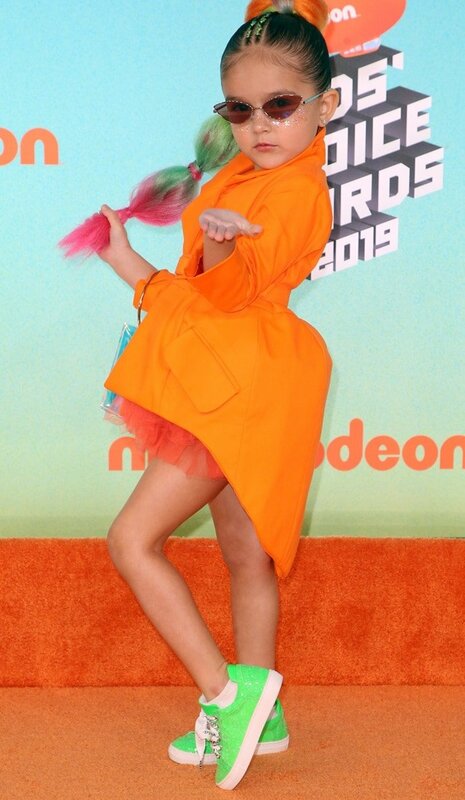 The pint-size stylista currently has more than 180,000 followers on Instagram and was scouted by a modeling agent when she was only nine months old. 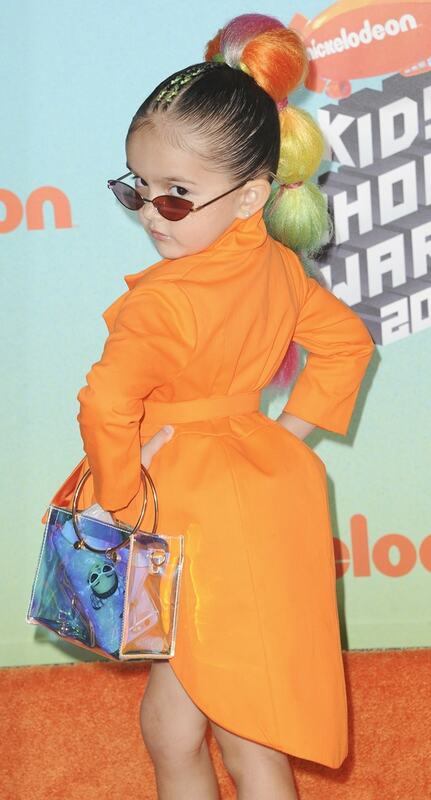 For her red carpet appearance, Taylen rocked an orange blazer from luxury children clothing brand Kadime, Boohoo sunglasses, and green glitter sneakers from Monnalisa. Taylen has walked countless runway shows including Miami Fashion Week, Miami Swim Week and New York Fashion Week. Earlier this year, she launched her own beauty collection and digital platform. Last year, Taylen also attended the Lina Cantillo fashion show during The Miami Fashion Week (MIAFW’18) at Ice Palace Film Studios in Miami, Florida.